I have always preached that more expensive does not always equate to better quality, nor does inexpensive equate to poor quality. 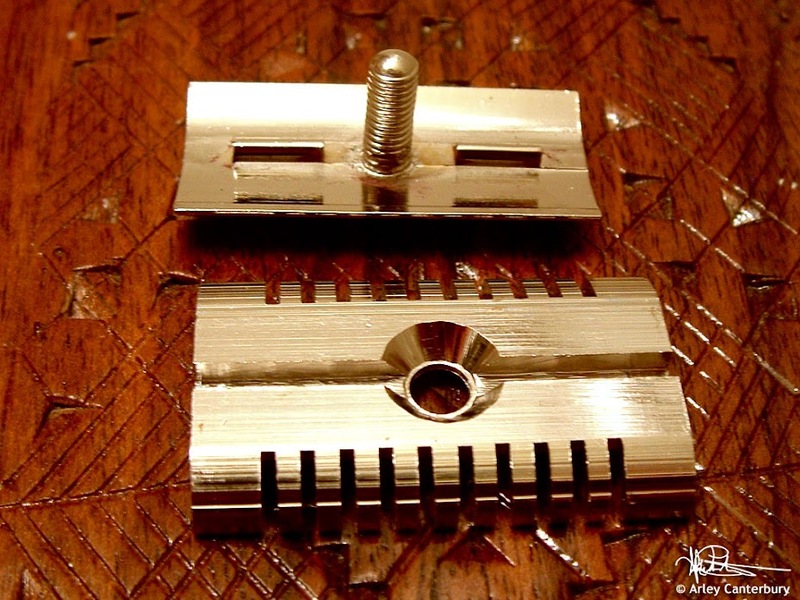 My good razor buddy and BOTOC Co-Founder, Johnnie Bradley had posted this razor in the BOTOC thread. When I saw the price I figured what did I have to lose, at $11 shipped it was the cost of a lunch. So what do you get for $11, One open which appears to be plated in Nickel, four 5-Packs of Blades, that include four Gillette Wilkinson's and one Gillette 7 O'Clock Black, so a toal of 20 blades and a plastic case. 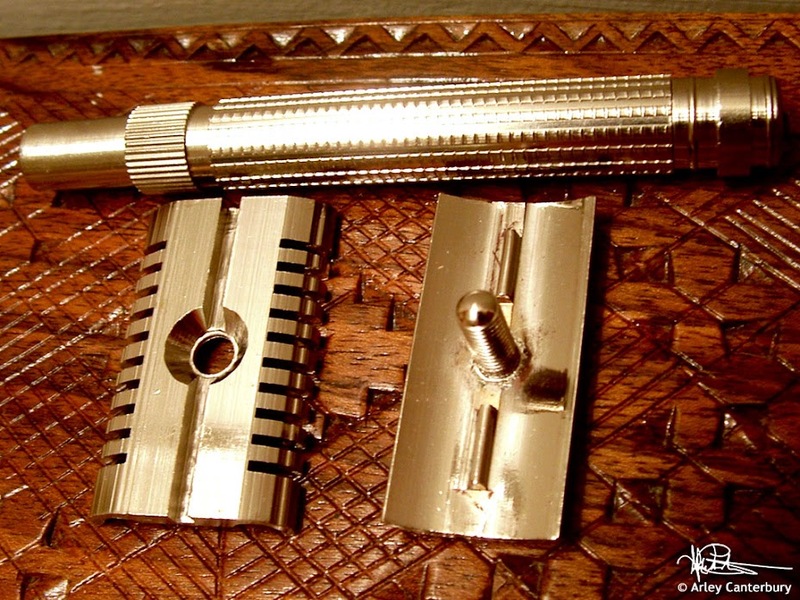 While this is no Joris when it comes to quality, it exceeds many razors costing three to four times as much. The plating and finishing is much better on this than the FaTip. The weight is very similar to that of the EJ89L, almost identical in feel. My scale is damaged so I cannot weigh it, but once I am done with the blind blade test I will give a much more detailed of this razor. Negatives are similar to what you may find with any open comb. If you do not pay particular attention when putting in the blade you will end up with a variance in the blade angle. It took me a few attempts to get a blade set just right. The other thing I am not to fond about it the "pyramid" top cap. I would prefer a smooth cap similar to a NEW, but for $11 this is not bad. If you happen to own a Tech or a NEW the top cap fits like a glove. Although I am participating in a Blind Blade Test at the moment, I figured I could do one evening shave with this to give it a spin, and who can blame me, it has been 13 days since I have shaved with an Open Comb. So how did it shave? Exceptional well. It was more aggressive than I was expecting, but not so much that it was uncomfortable. For my evening shave I whipped up a nice combo of TSD Sandalwood Wheat Cream and TSD Sandalwood soap. 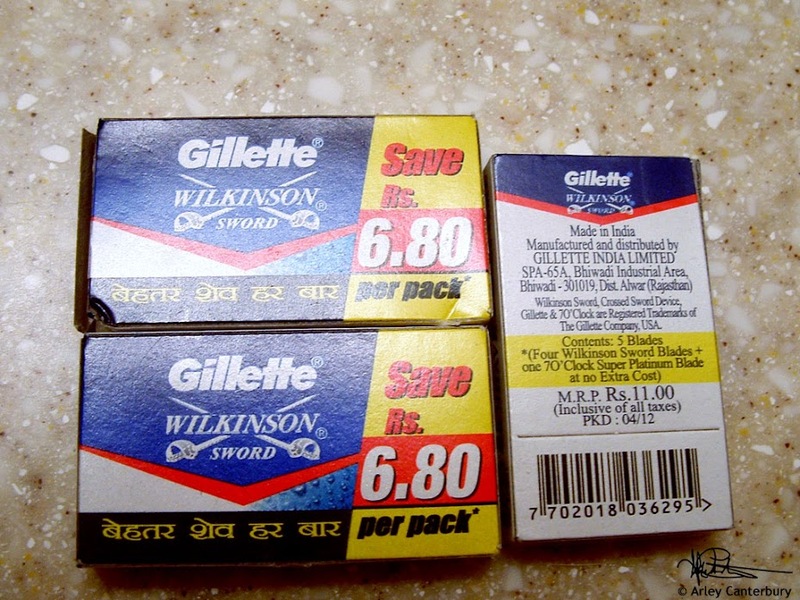 I decided to load it with one of these Gillette Wilkinson, and gave her a spin. The blade is sharp, but not the smoothest. No weepers or tugging, BBS after 2 passes, and zero burn from Alum and Brut. Would I recommend this razor to someone? Yes, for $11 you cannot go wrong, you will just need to be patient as it took 29 days to get from India to my front door. I have a razor with a nearly identical head that is marked Parker; however, the handle on yours looks much better quality. However, as far as I can tell, Parker did not make my razor. Great little razor, Arley. Enjoy. 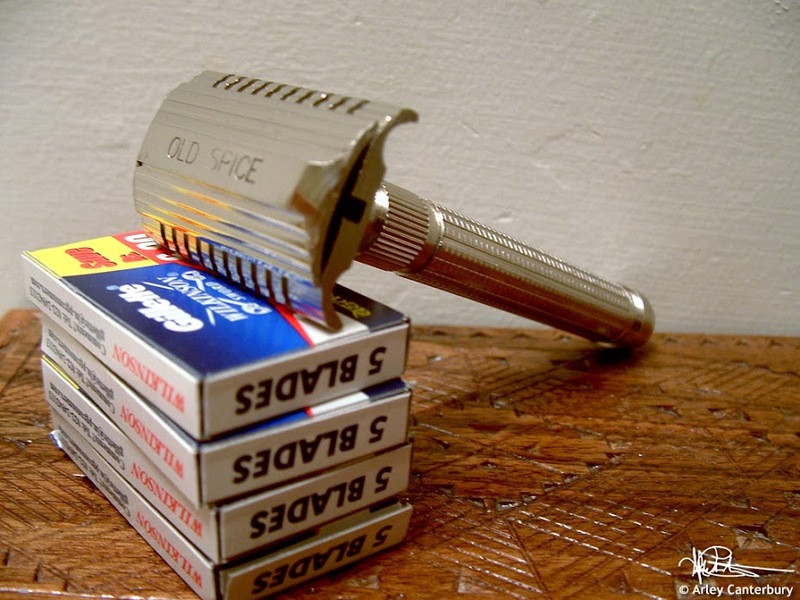 Old Spice razor? 11 dollars? Man,thats a bargain for sure.Thanks for sharing. Enjoy it, Arley. Looks like you got a true bargain there. Looks very nice - even more so when the price is considered. The head looks machined, not cast - can you verify? do you have a link to where we could order one at all? A very interesting razor, for sure. And the price makes it a nice deal indeed! I, too, have one that looks almost identical but marked Parker. Tried it once, looked like shredded raw meat afterwards. Don't use it anymore. I had one similar but no clue where it is. Very nice for the money. Use it well. (08-03-2012, 03:41 AM)MichaelD Wrote: I, too, have one that looks almost identical but marked Parker. Tried it once, looked like shredded raw meat afterwards. Don't use it anymore. 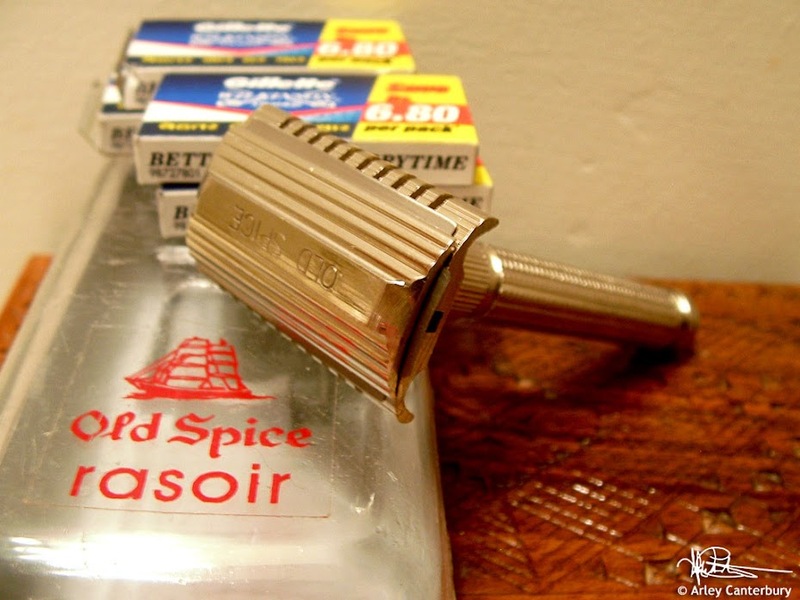 It is an aggressive razor, more so than my FaTip, in fact I would rate it just under the R41 in aggressiveness. I had no blood lose or that "raw" feeling I get from the R41. After I am finished with the blind blade test I will give this a proper work out. For the money if someone is looking for an inexpensive aggressive open comb this may be a good choice.